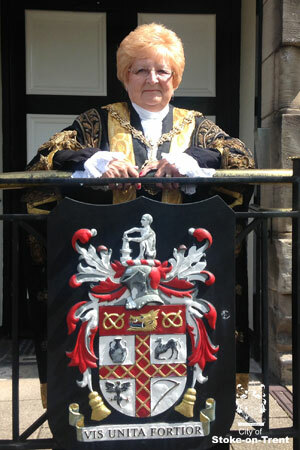 Councillor Lilian Dodd is the Lord Mayor of Stoke-on-Trent for 2018/19. Councillor Dodd has served as a city councillor since 2015, and previously worked at the city council for 26 years, with her roles including working in housing rent, planning and finance . During their year in office the lord mayor attends civic receptions, parades and makes general visits. You can invite the lord mayor to your event using the contact details below. To invite the Lord Mayor to your event, or for advice about the correct etiquette when attending an event with the Lord Mayor.